The media were all over the “dramatic” increase in oil prices that rocked the markets last week. But at $40 a barrel, even the biggest one-day increase in five years (10%) only is a meager $4. Not even a blip in the decline that has took crude prices from $146 in 2008 to the low forties (down $104 or 70%+). As expected by analysts, the downward pressure soon returned and oil finished the week only $2.66 or 6% up (image source: ValueWalk). Cheap oil for car drivers? With 60% of global oil consumption used for transport (70% in the USA), it makes sense to focus on what cheap oil mean for drivers. But a closer look shows that little of the crude oil fall has trickled down to the price at the pump. Only 20% in the UK, 18% in France and just slightly more in the USA, but still only 32%. Taxes makeup the largest chunk of gasoline prices in most countries – 60% in the UK and France. Even in places with lower fuel taxes like the USA, Canada and Australia, the decline at the pump was only a fraction of the crude oil price drop (32% in the USA). Because of taxes, cheap oil only resulted in marginal savings for households and business. There are exceptions. 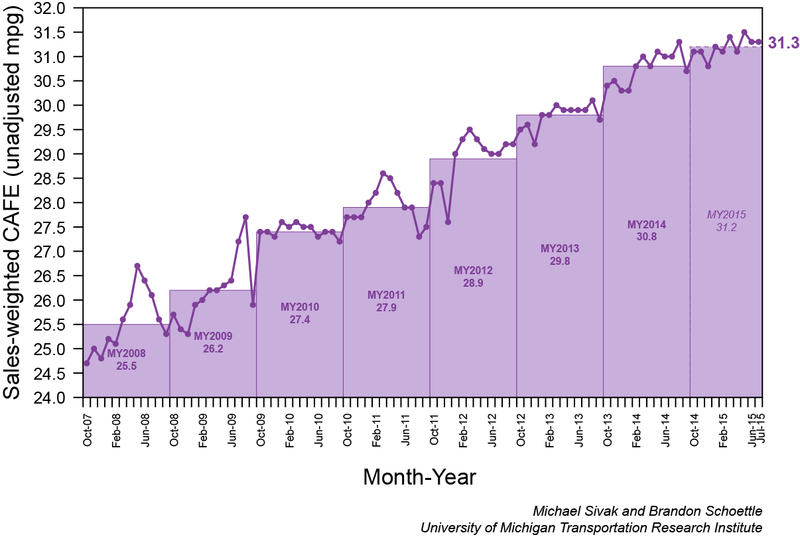 Some countries keep fuel prices artificially low. Iran and Saudi Arabia spend up to 9% of their GDP to subsidize fuel and offer fuel at 7 cents/liter. But with their state budgets under pressure from falling oil revenues, these policies are being phased out in Gulf countries but also in Indonesia, India and Venezuela. Drivers should get ready for hefty price hikes in the near future. High prices at the pump provide individuals and industry with compelling reasons to improve fuel efficiency. In Geneva, in just a few years, the number of hybrid taxis (mostly Toyota Prius) has grown from close to nothing to 400 (out of 1,400 taxis in total). Most of them run on multiple shifts so they are on the road 24 hours a day, seven days a week. They are reliable, typically reaching 300-350 thousand km with little maintenance. But the main reason behind this phenomenal explosion is economic. With a consumption of 5 l/100km, taxi drivers claim that fuel savings pay for the car. Similarly, Amsterdam Airport bought 160 Teslas because the economics of electric cars are so compelling. Even in the US where fuel is cheap ($0.76/liter), taxi companies are opting for electric cars boasting patriotism as they lower America’s reliance on foreign oil. 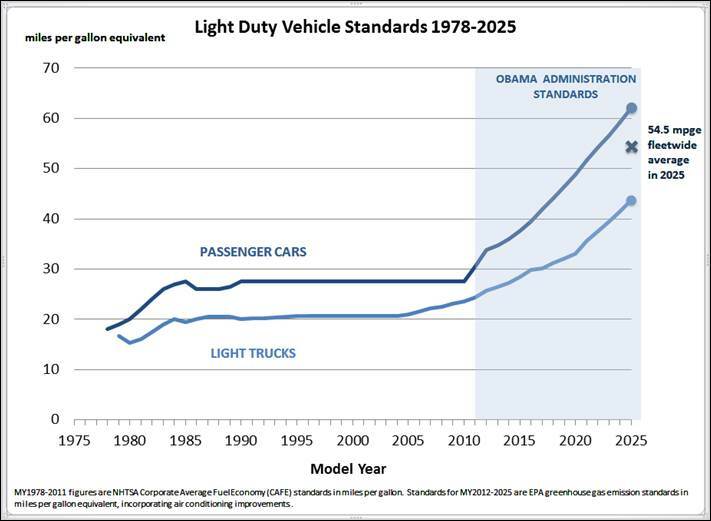 Mandatory fuel efficiency standards are speeding up the revolution. France gives FEE-BATEs on new car purchases (rebates for clean cars of up to €10,000 financed by fees on dirty vehicles). Such schemes are boosting fuel efficiency of new cars in Europe by about 3% per year. But the private sector did not wait for regulators. 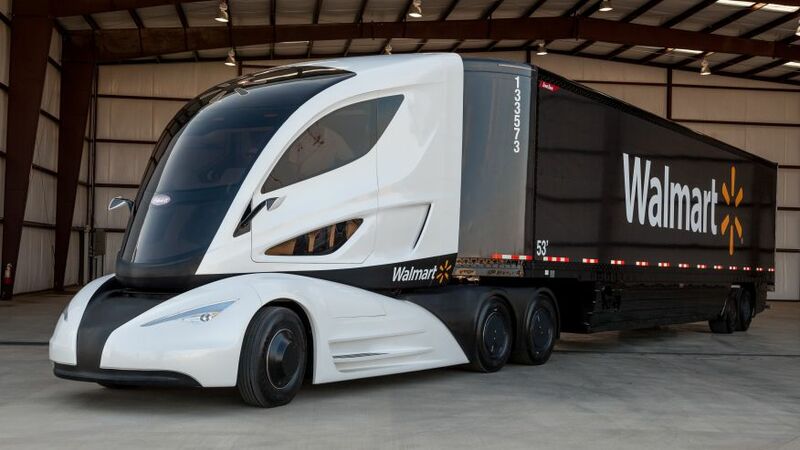 10 years after committing to double the fuel efficiency of its 6,500 strong truck fleet, Walmart has achieved a spectacular 84% improvement in fuel efficiency over its 2005 baseline. Transportation companies are also innovating in ways that go well beyond cost reductions. 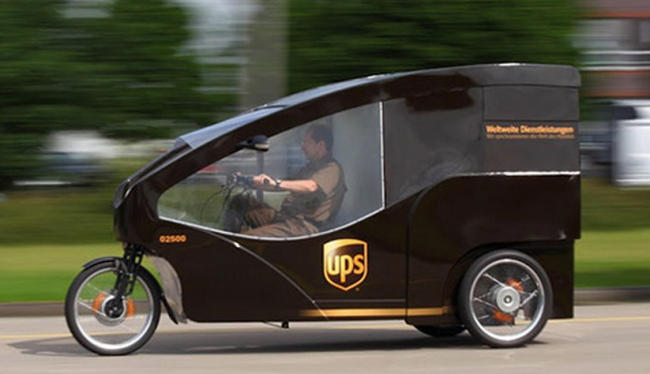 Thanks to its e-bike service, UPS increased the number of daily pickups and deliveries because they can ride on pedestrian streets, zip through traffic and find parking anywhere – avoiding many of the frustrations of city driving. In addition to the cost improvements and the leap in productivity, their staff have never been happier. Even the military, guilty for 1.9% of US oil consumption, has joined the efficiency race committing to get completely of oil by 2040, and pushing Detroit to supply electric vehicles with no compromise in terms of price, safety, comfort and performance. Just a few years ago Detroit and most manufacturers were dismissing electric cars as a distant illusion. But the landscape has changed dramatically, largely thanks to the Tesla revolution. “Hybridization, plug-in hybrids, or pure electric vehicles – this is a must for everyone… and the car company not able to keep up will disappear” said Rupert Stadler, Chief Executive of Audi earlier this year. “The Stone Age did not end for lack of stone, and the Oil Age will end long before the world runs out of oil” declared Sheikh Zaki Yamani, former Saudi Arabian oil minister three decades ago. Ali al-Naimi, the country’s current oil minister, said that his kingdom will eventually not need fossil fuels and planned to become a “global power in solar and wind energy” and export electricity instead of fossil fuels. With a glut in oil supply, fuel efficiency that will shrink demand and Mr Naimi’s belief that “solar will me even more economic than fossil fuels”, the end of The Oil Age may be closer then we think. 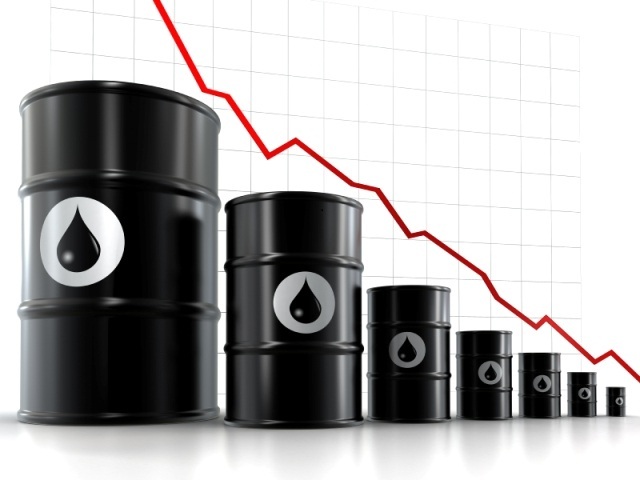 This is the first in a series of articles on Cheap Oil and its implications. This entry was posted in Climate Change, Energy efficiency, energy security, Mobility and tagged Ali al-Maimi, CAFE, energy efficiency, fuel efficiency, Military, oil supply, peak oil, prius, Saud Arabia, Sheik Yaki Yamani, solar power, Sustainability, Tesla, Walmart, wind energy by adamkoniuszewski. Bookmark the permalink.